(1578, Frankfurt, German -1610, Rome, Italy). In about 1598 he appears to have been in Munich. 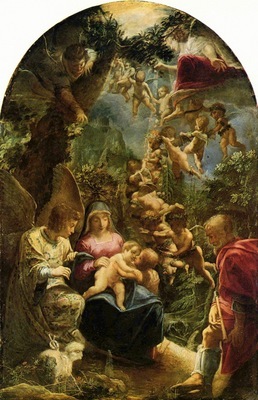 He then travelled south and for about two years worked in Venice; 'The Baptism of Christ' was apparently painted there. Elsheimer was a highly influential artist who painted small-scale works on copper. He combined precision of technique with inventive explorations of landscapes, multiple light sources and exotic figures, to create different moods.